Despite the heat, I’ve been itching to start a new project. 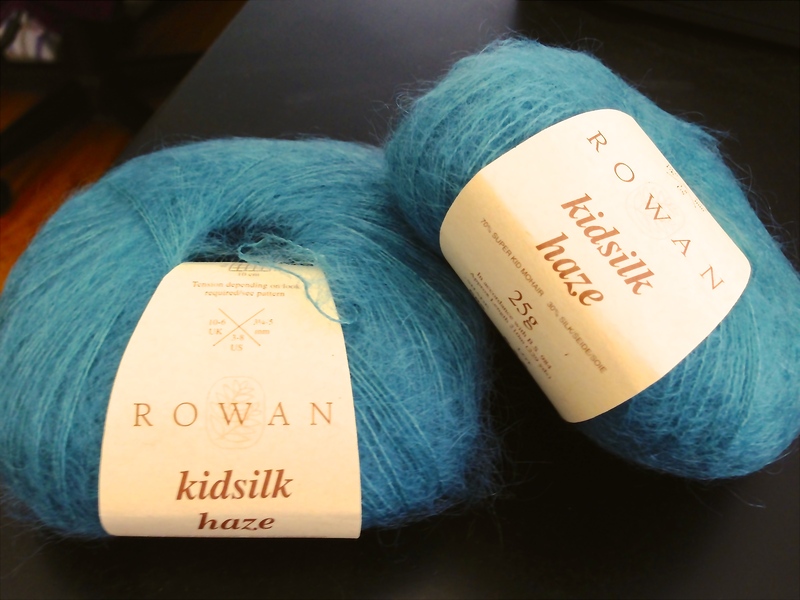 Crazily enough, when I should probably be working on small projects that are knit out of cotton or some similarly cooling fiber, I’ve been browsing Ravelry for a scarf to knit using Kidsilk Haze. What are you knitting? Something Summery? Or do your projects fight the heat like mine? And if you have a simple scarf pattern that uses 2 skeins of Kidsilk Haze, let me know! This entry was posted in Knitting, Ravelry and tagged Kidsilk Haze, Knit, knitting, Ravelry on June 9, 2014 by boogaj.